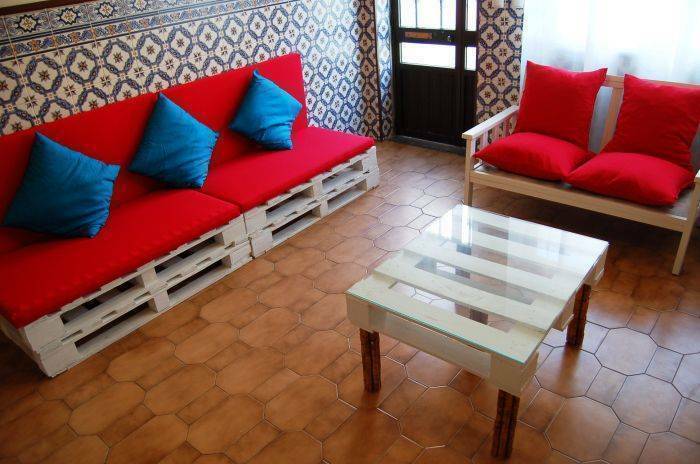 Swordfish Hostel is a modern hostel with decoration Upcycling, Recycle, Reuse and Reduce Materials, so The Upcycling starts with us. It is situated in the Heart of the City. On a nice place where you can see the beauty of the city. 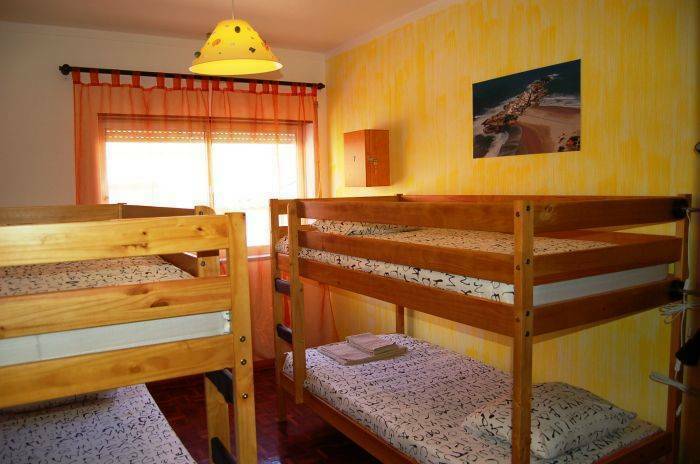 This hostel organises surfing and diving activities and offers a bar on site. Free WiFi access is included. 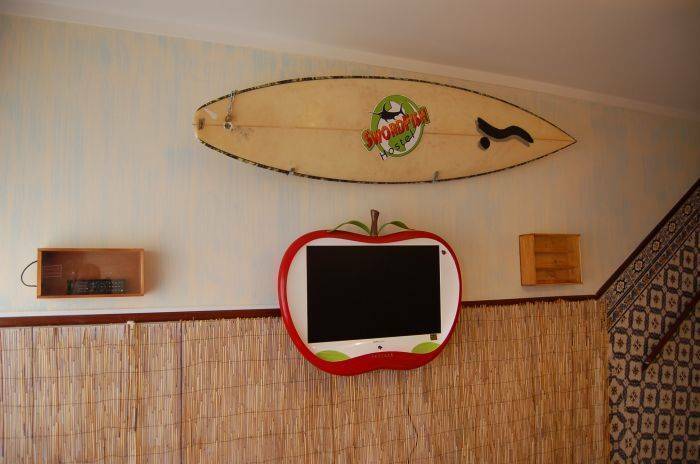 Each room features an exclusive decor with a beach theme. 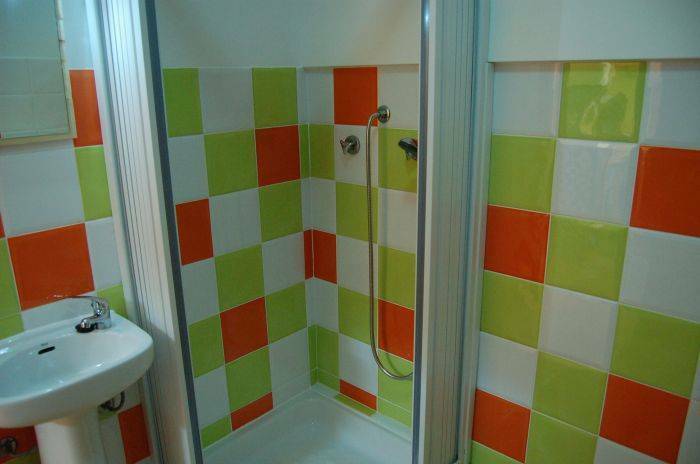 All rooms offer access to shared bathroom facilities. 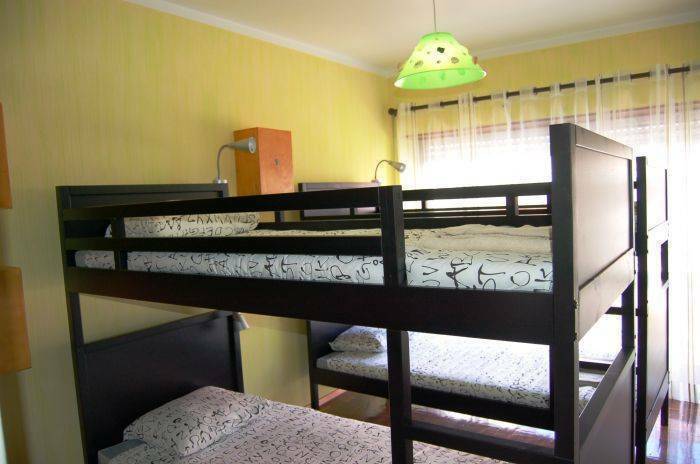 Lockers, individual reading lights and bed and bath linen are included in each room. Guests can relax at the terrace or in the lounge with a TV. A fully equipped kitchen is available for guests use. The medieval Ubidos village is 20 km away from SwordFish Hostel, and Ubidos Lagoon is 26 km away. Caldas da Rainha city is a 20-minute drive away. 1. In order to guarantee advance booking of the room or bed, the costumer must pay the amount of 30%, on the 48hours after the pre-reservation. 2. in case of cancellation, the refund of the amount paid has guarantee, will take place only if it occurs within 48 hours prior to the date of the check in. 4. The payment shall be made in cash. Check, ATM or credit cards are not accepted. 5. The payment of all nights asked is made upon the check in. 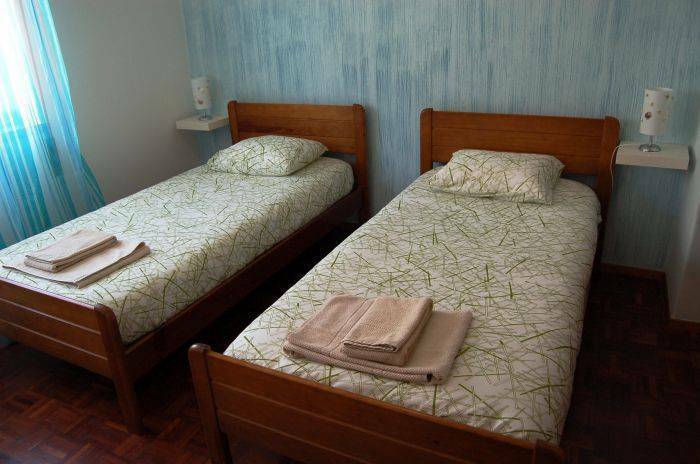 6. if you leave after the stipulated time for check out, you must pay the amount corresponding to one more nights stay. 7. If the costumer on the day of check-out or previously decides to stay for more nights on the Swordfish Hostel. a) Must pay for the new period of nights that intend to stay. c) In any case, the costumer has the right of preference in the request for extension of stay on the SwordFish Hostel over the costumers. 8. If the room typology provided, the costumer must request in advance an additional bed.